Birchbox’s flagship store is located in the heart of New York City’s trendy Soho shopping district. At 4,500 square feet, the duplex space is packed with a revolving supply of beauty products, resembling a blown-up version of one of the candy-colored boxes that launched the company into existence back in 2010. Currently, the Soho store is Birchbox's only physical location. But that will soon change. Today, the company announced that it will open two additional permanent stores, one dedicated to men's products, in 2016. To select the locations, Birchbox is asking customers to vote by entering their zip codes; based on the results, it will open temporary pop-up stores in three cities this summer, and then decide where to permanently set up shop based on each pop-up's performance. If the campaign sounds elaborate, it's meant to be: a large part of Birchbox's decision to go brick-and-mortar revolves around educating consumers about the brand. 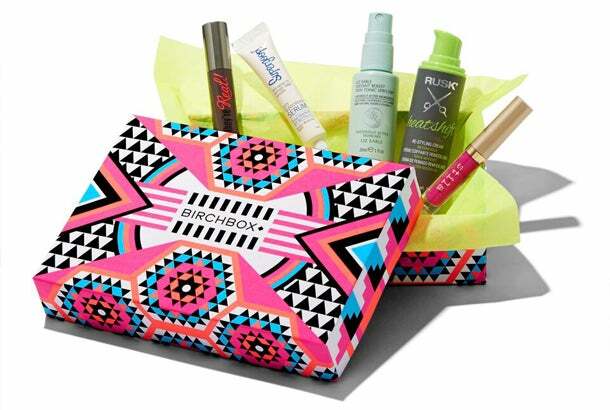 Birchbox wants to make its push into physical retail as noisy as possible. As per a recent Bloomberg article, users who sign up for a Birchbox subscription don’t just spend more on the site – they also spend more at beauty stores such as Sephora and Ulta (a 5 and 6 percent bump in sales, respectively). "When we look at our data we know that people who experience Birchbox buy from us and they buy from whatever store they happen to be walking by," says Beauchamp. A main company objective is to minimize this leakage. Beauchamp believes that physical stores could help on this front, changing the Birchbox customer relationship from sticky to stickier. Birchbox's New York store opened in the summer of 2014, a development tailor-made for headlines. The reverse trajectory of an online, subscription service going brick and mortar – one enacted by a host of other ecommerce companies, such as clothing retailer Bonobos and designer gown-rental service Rent the Runway – was at once quirkily charming and a harbinger what felt like a nascent but powerful trend: the creation of physical stores enhanced by troves of online customer data. The store itself is a blend of offline tactile experience and online data-driven customization. In many ways, it mirrors the company's website layout: items are organized not by brand but by product category – skincare, makeup, cheeks, face etc. -- with the exception of a dozen best-sellers that are prominently featured at the entrance, accompanied by online ratings out of five stars (the selection changes monthly). A number of iPads are sprinkled throughout the duplex, allowing visitors to look up online customer reviews for featured products, and store employees – "discovery specialists," in Birchbox speak – are on hand to encourage shoppers to sign up for the monthly subscription service. Those who take the bait are treated to a complimentary build-it-yourself Birchbox, priced at $10, which they fill from an array of lined-up sample options at the back of the store. The store's "discovery specialists" are able to pull up data on existing Birchbox subscribers, including the samples they've received in past boxes, items they've favorited and information from their user profiles, to help make targeted sales. "It's, 'I noticed this is something you received in your box, do you want to see what the full size looks like?'" Beauchamp demonstrates. "The idea was always, how can we better use what is wonderful about online to enhance offline?" From the way she Beauchamp tells it, Birchbox's store count will expand to the point where the company is a small but direct Sephora competitor. Sephora has about 1,900 stores in 29 countries. Of course, physical stores carry much higher overhead costs than online. Rent alone at the Soho space, according to estimates from The Real Deal, is probably more than $900 per square foot, a whopping $4 million plus a year, and that's not including wages for in-person staff. Last summer, Beauchamp told The New York Times that she did not expect the store to be a moneymaking operation as she and Barna were focused on “hypergrowth,” not profitability. For an ecommerce business, going brick-and-mortar is an "expensive strategy and it could backfire if you over-invest in stores," warns Forrester analyst Sucharita Mulpuru-Kodali. But Birchbox's ultimate goal is to "win the beauty category" and, for Beauchamp, that's not going to happen without a strong physical retail presence. "Offline shopping is not going anywhere -- there is such an important social and recreational aspect to it." When she envisions a near-future for the company, she retail sales becoming a "major percentage" of the company's overall revenue.